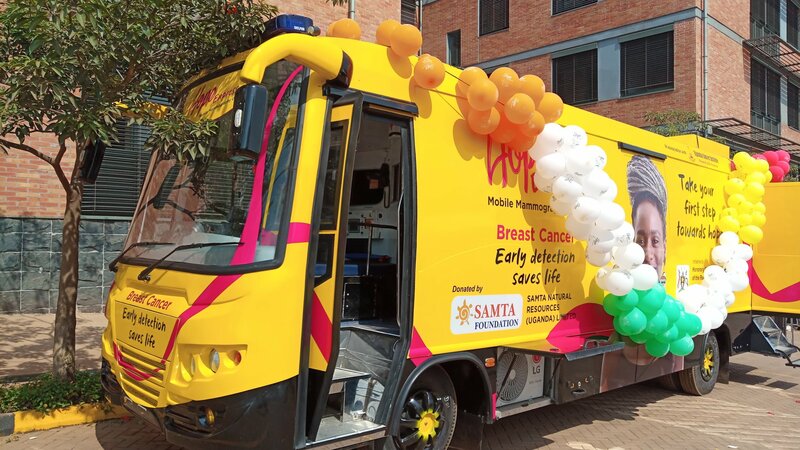 Indian based charity, Samta Memorial Foundation has donated a mobile mammography unit to the Uganda Cancer Institute (UCI) of Mulago hospital to support the diagnosis and early detection of cancers that affect women. A bus which houses a mammography machine and other components used for carrying out tests for cervical and breast cancer was handed over on Wednesday. 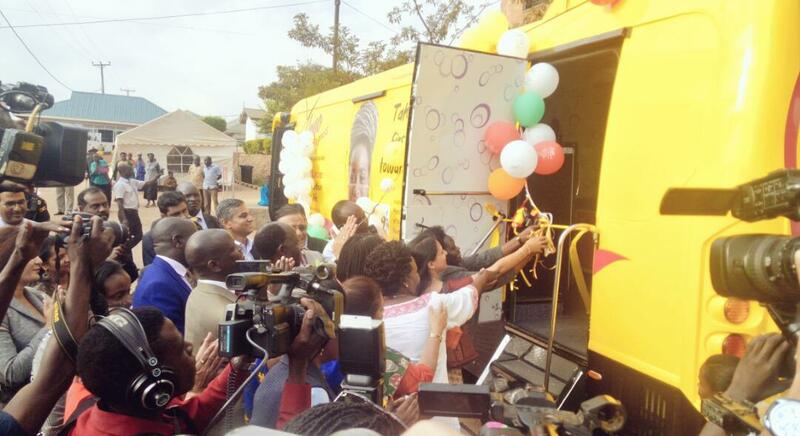 Dubbed ‘Hope Express’, the bus valued at USD 150,000 was delivered by the Founder of the Samta Foundation also Uganda’s Honorary Consul to Mumbai, H.E Madhusudan Agrawal. He is also proprietor of Indian multinational specialty pharmaceutical company, Ajanta Pharma. The state-of-the-art facility is comprised of a cabin for 5 medical personnel, the mammography machine itself as well as internet enabled digital equipment that instantly send data from the test samples to the Cloud for interpretation. Cervical cancer is the commonest type of cancer among women in Uganda, followed by cancer of the breast and kaposi’s sarcoma (cancer that can form masses in the skin, lymph nodes, or other organs). The donation culminated from a discussion between wife to Uganda’s Prime Minister, Jocelyn Rugunda and wife to Mr Madhusudan some time back in India. During a casual chat on the state of affairs in Uganda and India, Mrs Rugunda informed the Honorary Consul’s wife of the plight of Ugandan women who were faced with the scourge of breast and cervical cancer. 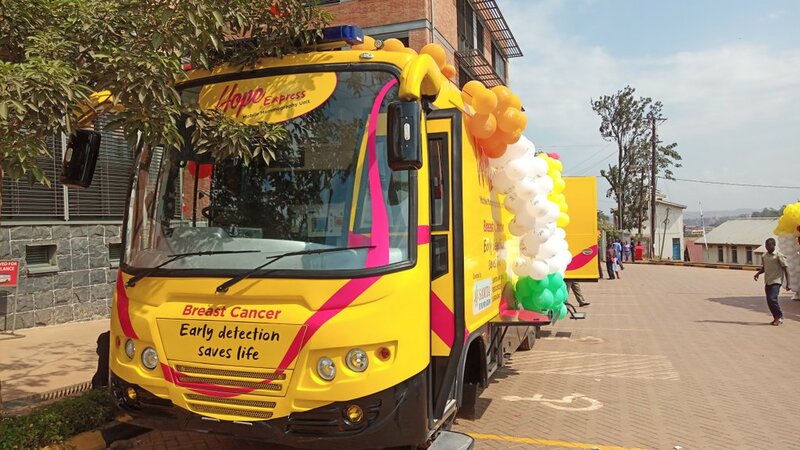 Eventually, the wealthy and philanthropic couple agreed to gift Uganda with a mobile mammograph bus that would ease the deliver cancer clinic services to Ugandans. At the handover ceremony, H.E Madhusudan Agrawal said that he, together with his brother Purushottam Agrawal founded the Samta Foundation in memory of Purushottam’s late wife Samta Agrawal, who succumbed to cancer. 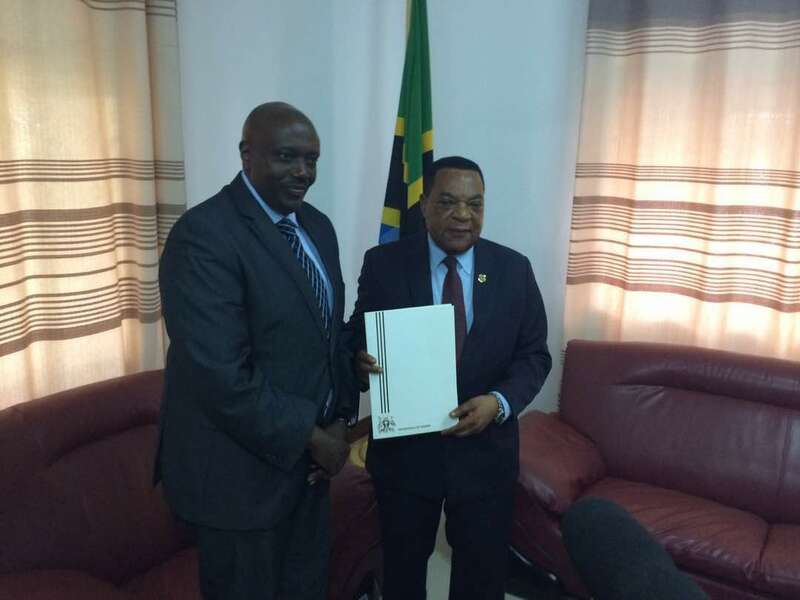 He committed to support the efforts by government to transform the Cancer Institute to a centre of excellence in East and Central Africa, a project that requires about USD 150 million. “When I visited this hospital in 2016, I shed tears when I saw bed ridden cancer patients and some lying on the floor. 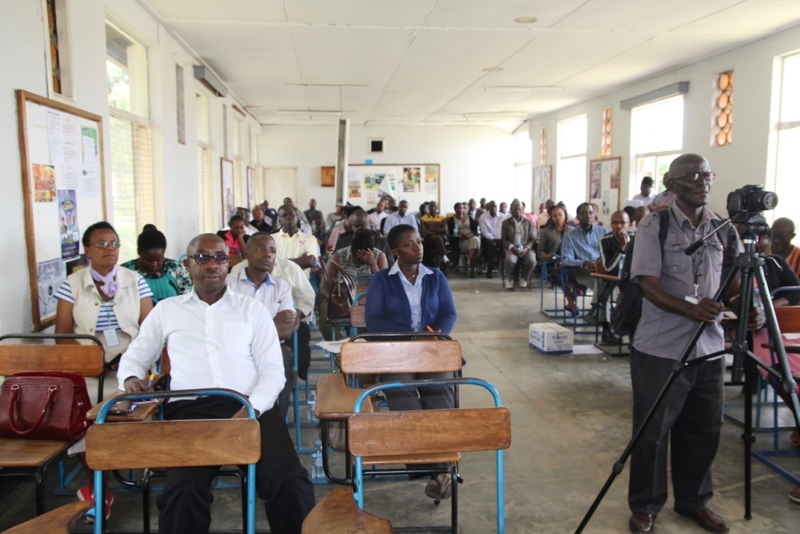 We will find the money and we shall make the idea of a centre of excellence possible,” he said. “I do not want anybody to die just because they could not afford to come to India. I am told Ugandans come to Mumbai because they can’t get services here. 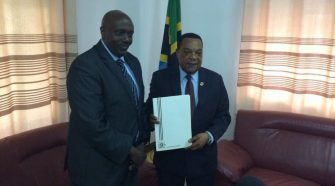 And since treatment abroad is expensive, they spend a lot of time mobilizing money and in the end, their situation worsens,” he added. He said that maintenance services of the bus will in the initial two years be offered free by TATA (manufacturers) after which, Samta Foundation will foot the costs. At the same event, Mrs Jocelyn Rugunda said that she proposed the idea of the mammograph bus to the Agrawals having learnt that in neighboring Kenya, government was providing such buses to every district. “This bus will go a long way in helping women who would otherwise not be able to travel long distances to specialized clinic centres,” she said. Yesterday, Indian Prime Minister, Narendra Modi announced that his government was gifting Uganda with a Bhabhatron Cancer Therapy machine to assist Uganda’s efforts towards eradicating the malaise of cancer. State Minister for Health, Sarah Opendi who attended Wednesday’s handover noted that Uganda’s greatest challenge in the fight against cancer is the late diagnosis which often results into deaths. “Most people come when cancer is in advanced stages which makes it difficult to reverse the situation. In order to change that, we need to go out and remind Ugandans the dangers of cancer and how it can be detected,” Minister Opendi said. 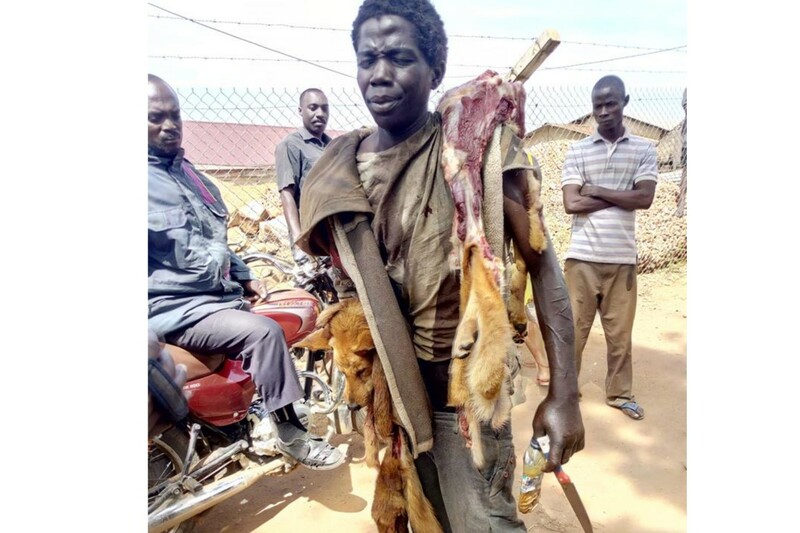 Out of 100 women in Uganda, 4 of them suffer breast cancer. Opendi urged the Uganda Cancer Institute to increase its visibility in order to scale up sensitization as well as diagnosis of such cancers. Although Uganda has numerous cancer screening clinics at the different Regional Referral hospitals, none of these clinics have a mammography machine. Such machines are only situated in Kampala which is an inconvenience for patients. According to the Comprehensive Comnunity Cancer Program Head at UCI, Dr Noreb Mugisha, the newly acquired bus will save patients in distant locations the costs and unnecessary trips to Kampala to confirm whether or not they have these cancers. In addition, medics (on the bus) will regardless of their remote location be able to access specialists for accurate interpretation of samples.